TASK: Nullify resistance to scout operations. 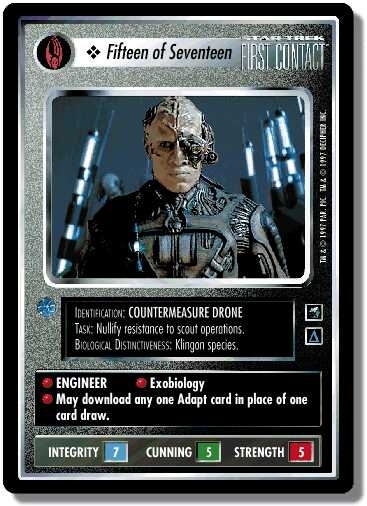 ENGINEER Exobiology May download any one Adapt card in place of one card draw. There are 22 entries for Fifteen of Seventeen (ST1E 4 C 79) at the Tradeplace (82 haves and 0 wants). Click here to see all trade list entries for this Common card!